From museum selfies to the digital humanities instagram has become a major force in the art world. Artists now cultivate ‘instagram practices’, art institutions have thousands of followers, and hashtags like ‘#monalisa’ have over 200,000 entries. The majority of these posts are contributed by people in their late-teens and twenties — the age demographic that dominates instagram — and yet the app is more likely to be banned from college classrooms than encouraged. 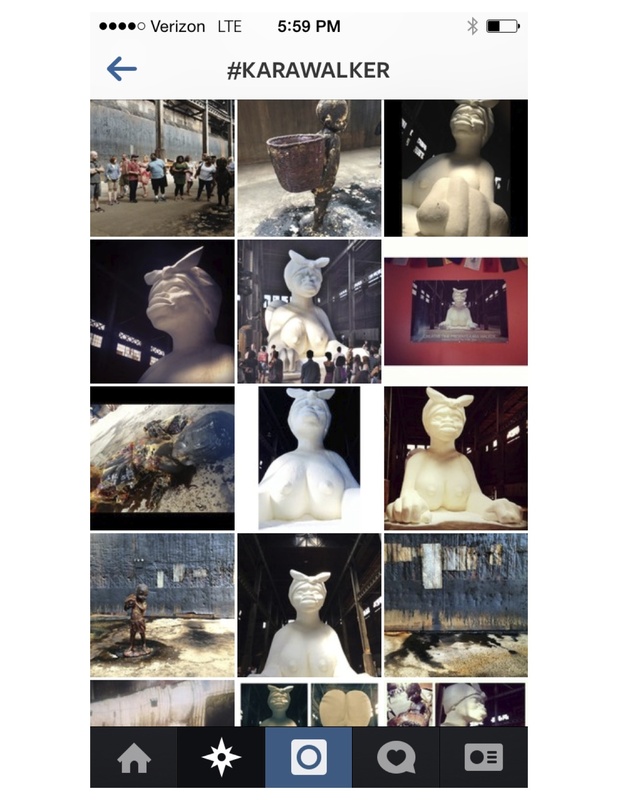 In a period when educators are grappling with divergences between social media-driven forms of communication and academic communication, instagram, at least in the context of art history, has potential to both enrich content and strengthen the discipline’s relevance for contemporary learners. Those of us who have taught jumbo survey courses quickly learn to engage initially disinterested students by connecting historic works and themes to their own lived experiences. I’ve shown images of David Beckham in underwear when talking about classical ideals, Obama campaign posters to introduce a unit on representations of power, even showed a clip from Ancient Aliens in acquiescence to a students’ incessant allusions to the TV show. By introducing these references in class, I aim not only to make art history relevant to my students’ lives, but also to equip them to apply the analytic and critical tools cultivated in art history to their surroundings. 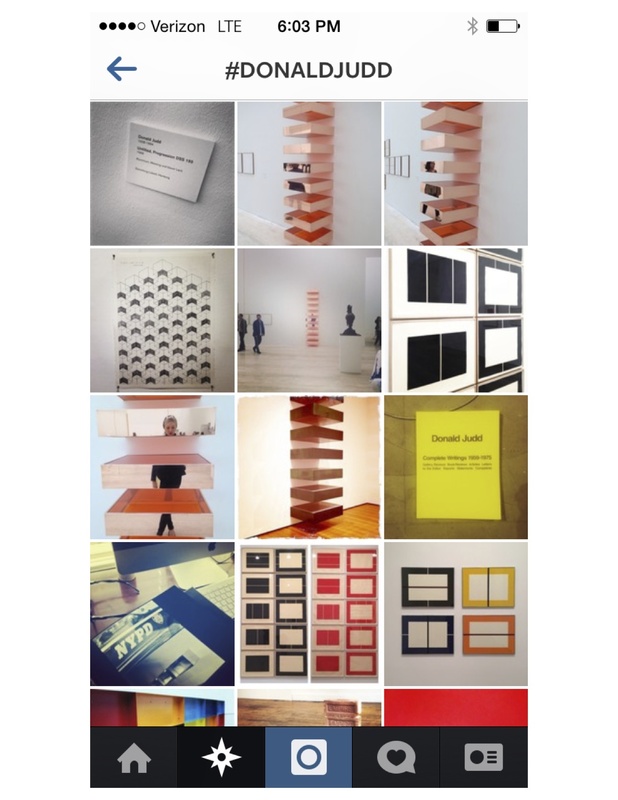 In this post, I want to propose that instagram can serve as a platform for encouraging students to connect buildings, objects, and images from their contemporary environment to historic structures and works. As a pedagogical tool instagram can help teachers can build visual thinking skills, foster comparative aptitude, and encourage original analysis. After recently collaborating with an artist to design and lead an instagram-based project for high school art classes, I began to think about what an Intro to Art History instagram assignments could look like. My musings and research resulted in the following assignment draft. I designed this assignment for a thematic unit class, but it could easily be tailored to a chronological survey. Students without access to a device that can post to instagram can do a clippings version of this assignment. Rather than take photos, these students will be required to bring in images of contemporary buildings, objects, etc. that they have cut from magazines, newspapers, advertisements, and other print media that connect to historic works. These will be due in class on the first day of the new unit. Students doing this alternative assignment will also be asked to scan and save digital copies of these images, so that they can refer back to them for Parts 2 and 3. Students will learn how to write visual analysis comparisons during Unit 1. The instructor will select strong comparisons from students’ posts to use as the subjects for low stakes in-class practice comparisons. For each of the three following units students will turn in a 2-page visual analysis comparison essay based on one of their posts from that unit. The essay must compare and contrast the contemporary post to the historic work using the writing guidelines established during Unit 1. Students will chose one of their Comparison Essays to expand into a formal 5-7 page essay that compares the two subjects visually and contextually. Why might the contemporary architect, artist, designer, image-maker, advertiser, etc. be referencing the historic work (deliberately or not)? Do the historic object and the contemporary object share function or meaning? Why? By requiring students to build on their instagram posts through written analyses, Parts 2 and 3 of the assignment reinforce the connections made in Part 1 and further encourage original analysis (as well as discourage plagiarism.) They also strengthen visual and contextual analytic skills while directly demonstrating how these skills apply to the contemporary environment. I have not yet had the chance to test this assignment in the classroom, and it will surely present some glitches, as is always the case when introducing new technologies and media into the classroom, but it will also give students permission to turn the art historical lens outwards and to view their surroundings with an informed, critical, and creative eyes. For more on instagram demographics see: “The Demographics of Instagram and Snapchat Users,” on http://www.marketingcharts.com/wp/online/the-demographics-of-instagram-and-snapchat-users-37745/. Love this idea Hallie – and I can think of lots of ways to adjust it to my own classes – Thanks for posting! This is great. And there’s so much going on now with art and instagram that it’s perfect to use it in art history too. I have been planning to incorporate Twitter and Instagram into the classroom, so this has encouraged me to do it. Wonderful idea, and thanks for sharing. For those interested in digital art history/tools of digital art history, check out #doingdah14 on Twitter. There might be some other ideas (or kernels of ideas) floating around that could help with teaching. Thank you, infinitely, for sharing. This is a fabulous idea. I will be using this assignment in my art appreciation courses this fall. Check #art200_cuesta in the next few months! This is fantastic, I haven’t put Instagram in the mix yet , but it is a great idea. I have been doing something fairly similar with my “Art History Selfie: Art Where You Live” assignments. This has been very useful — and fun— especially for my online classes. I think it is an assignment that lets students know that they know more than they think they do! They have to post a picture of themselves with an object in their community and then shoot more photos to suggest basic visual concepts by framing, close-ups, etc. and relate to works in the textbook — essays without words. This assignment also turns out to be a great way to build community in on-line classes and lets me see what’s going on in their environment. In my summer session classes, many students are away from campus and often outside the US — so I get to see some great stuff. Would you be interested in writing a similar post to that of Hallie’s on your Selfie assignment? We’d love to have the contribution! Hi Karen and MIchelle, sure I would be happy to! Any details for me to know about? Can I have a bit of time to prepare it? Can you send us an email at teachingarthistorysurvey@gmail.com? We can then send along some more details and answer your questions. Having students take digital images of art in their environment can be adapted to specific lessons – for example it works really well with neoclassicism (or other architectural styles )- having students find examples of it around them makes them really start to *see* their built environment and helps with the goal of training the eye and raising consciousness. I’ve used a “selfie” assignment (self with a work of art) as extra credit to encourage my survey students to seek out into museums and galleries on their own, and have considered making it one of the required assignments. I love this assignment! The only thing I would suggest is that rather than ask students to use a #lastname_firstname hashtag, it would be better to ask them to tell you their instagram handles privately. This is how a professor handled required tweeting in a course I took, and it was important for those students who wanted to maintain online privacy.